Last night The Blot saw Solo: A Star Wars Story in IMAX, and I absolutely loved it! No spoilers, but it was the perfect mix of action, humor, fan service and classic Star Wars campiness! It was the closest thing to the Original Trilogy since…well…the Original Trilogy. Some fans may deride all the fan service, but honestly that’s exactly what I’m looking for an Star Wars film. It may not be what everyone wanted these A Star Wars Story films to be, but I think after The Last Jedi it’s exactly the kind of film the Star Wars fandom needed. If you haven’t seen it or don’t have plans to, go buy your tickets now! In the meantime, check out these two fantastic Solo: A Star Wars Story teaser one sheet movie posters. 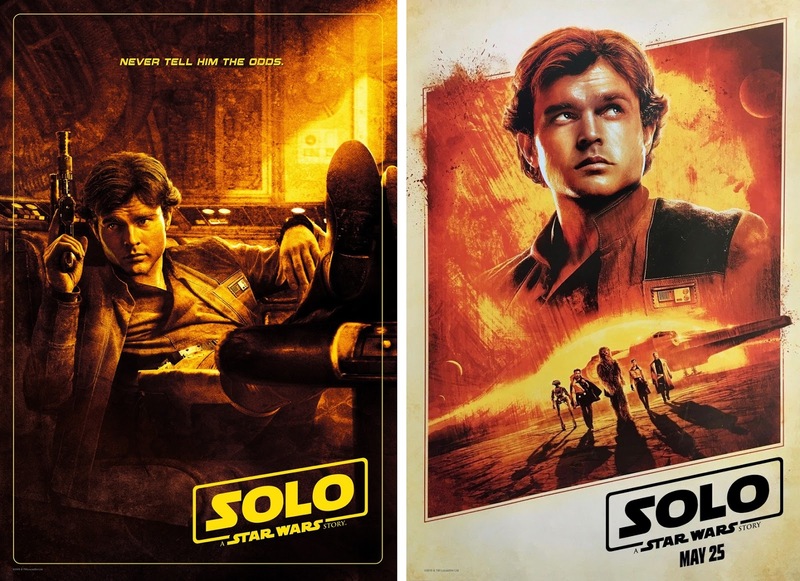 I love these because they’re actually unique and not just more of the same photoshopped posters that we typically see from a big budget sequel.